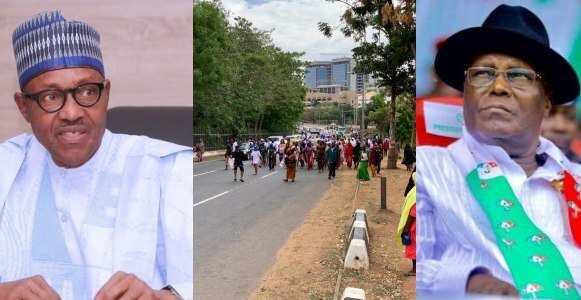 The Peoples Democratic Party (PDP) has alleged that the All Progressives Congress (APC) does not have the support of Nigerians outside intimidation by security agents. The party said this would play out in the forthcoming supplementary elections scheduled to hold in six states on Saturday. The states are Plateau, Kano, Sokoto, Adamawa, Bauchi and Kano. The Independent National Electoral Commission is set to meet with security agencies on Tuesday where issues bordering on how to have peaceful elections are expected to be discussed. 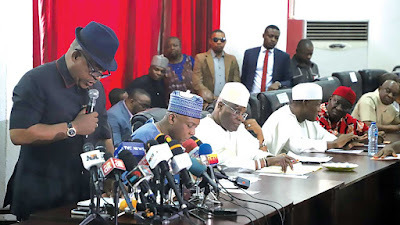 National Chairman of the PDP, Prince Uche Secondus, who spoke with our correspondent in Abuja on Sunday concerning the rerun, insisted that his party would defeat the APC during the elections. He said, “We are prepared for the rerun in the six states. Though we believed that we ought to have been declared winners in five out of the six states; since the commission is insisting that there must be election, we are ready. “Nigerians have seen that the APC is an empty shell without the support of some personnel in the army and the other security agencies. “But these officers and men have also realised that they cannot continue to allow themselves to be used against their brothers and sisters. “Therefore, they may have decided to turn a new leaf by working for the country and not the interest of a few men whose intentions are not in the interest of the country. Asked if the party would accept the outcome of the elections when declared by the commission, Secondus said such question was too early to be answered. “We cannot answer such question now. Let us wait and see how the elections would be conducted. Let us wait and see what will happen that day. “But I want to ask INEC to use this opportunity to redeem its battered image. The commission has to wake up and take up its responsibilities. It must not relinquish the ‘independent’ that comes first in its name,” Secondus added.